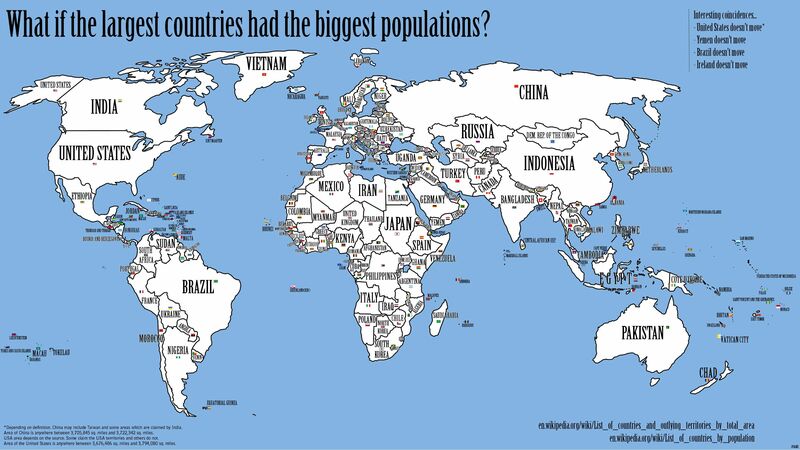 What if the largest states had the biggest populations? 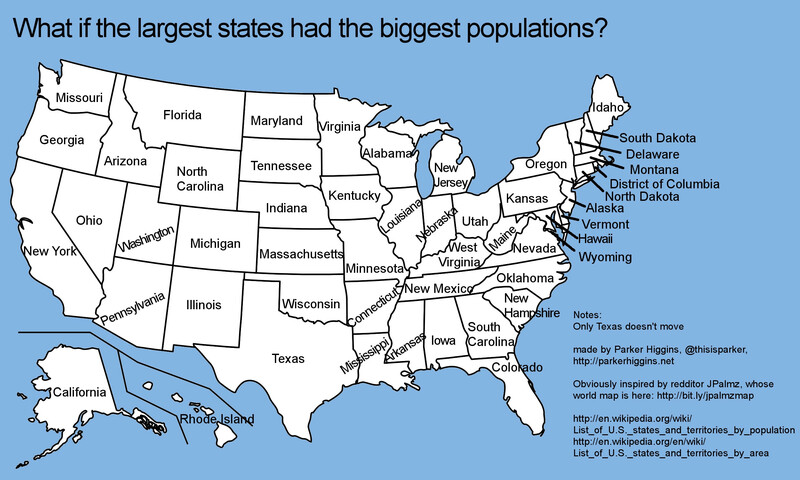 Posted byParker Higgins	 24 November, 2010 2 Comments on What if the largest states had the biggest populations? I came across a very interesting map by redditor JPalmz that showed the countries of the world, re-arranged to match population with land area. I thought it was very cool, so I decided to do the same thing with US states. You can see the results below, but you may need to click through to see it full size in order to read the names of the states clearly. Some interesting results: only Texas stays in the same place, Delaware and Vermont swap, and Rhode Island becomes a real island.